Unlock HTC One X Plus LTE - Safe IMEI Unlocking Codes for You! Unlock HTC One X Plus LTE Handset! In case your One X Plus LTE doesn't ask for the code and there is no designated field to enter it, please DON'T PLACE ANY ORDER, contact us first for support. Unlock now your HTC One X+ LTE smart phone and start to use it with Any GSM SIM card worldwide! We are able to unlock the most GSM Carriers including AT&T, T-Mobile, Rogers, Fido, Three, Bell, Telus, Vodafone, Orange and all other major service providers. 2. Choose the original country and operator of your HTC One X+ LTE and – not the one you wish to use after the unlock process! How to Unlock HTC One X Plus LTE Phone - Tutorial! 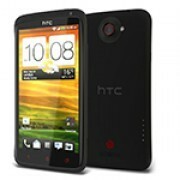 are you able to unlock HTC One X+ LTE smart phone from Argentina Miniphone? I need help to unlokc my HTC One X+ LTE phone. After i request for the code can i get it right awaY? Can you assist me with my HTC One X+ LTE from Fiji Vodafone? Do I need to save and transfer to comp. all my files in my phones before the process? I just wondered if the settings be get affected. do you have available code for HTC One X+ LTE from Telering? I needed help for my HTC One X+ LTE smart phone to unlock. Can you? Hi Cedric! Yes, we should be able to help you. Please fill the form with the correct info and the system will show you all the details needed. Regards!